The E. coli outbreak in romaine lettuce in Nov. 2018, shortly before Thanksgiving, added yet another food safety incident to a growing list of recent outbreaks. Indoor leafy greens producers used social media to assure consumers their products were safely grown in a controlled environment while they waited for the FDA to narrow its recall list. 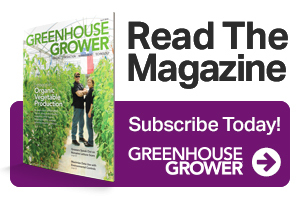 Greenhouse Grower reached out to four major indoor growers of leafy greens to ask about what they learned from the incident and what protocols they have in place to ensure food safety at their operations. Greenhouse Grower (GG): How did the multistate recall of romaine lettuce affect your company and your sales? 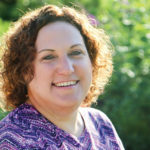 Did you gain new clients because of the recall? Viraj Puri, Co-founder and CEO of Gotham Greens: The FDA’s initial blanket warning for all romaine, regardless of the source, certainly caused confusion and significant internal and external communication. Once the blanket warning on romaine was removed, we saw a huge surge in orders of our romaine since customers were confident in the origin of Gotham Greens’ produce. They knew they could rely on our products to be safe and locally grown in sterile greenhouses. Our romaine lettuce continues to be one of our most popular products. The rise in recent foodborne illness linked to large West Coast operations has underscored the need for greater traceability and transparency in the supply chain and raised the profile for greenhouse-grown produce. Paul Sellew, President and CEO of Little Leaf Farms: It initially hurt and then helped as our customers and the FDA realized the differences between leafy greens produced in a controlled-environment and those grown in the field. Paul Lightfoot, CEO of BrightFarms: BrightFarms was not related to the source of the outbreak. The FDA advisory applied to all romaine, so initially, we had to pull our product to comply. Eventually, the FDA cleared greenhouse-grown products. Most of our competition in the salad category took much longer. We gained new consumers after the recall. This resulted in a rise in demand that did not decline afterward. The assumption is that consumers tried our products and liked them. Donald Grandmaison, Sales and Marketing Manager of léf Farms: When the recall happened, it caught us by surprise. The FDA rubber-stamped it to all greens as a no-go, and there was no explanation when it first happened. We quickly got into conversations with our partners to understand the scope of the problem and how to best serve our customers. We gained one major retail partner out of the crisis and expanded our penetration with another. GG: How did your company respond to the recall? Puri: We were deeply concerned as more than 200 people had become sick earlier in the year due to a similar romaine recall out of Yuma, AZ. At the same time, it was frustrating, as we knew retailers and foodservice companies were being forced to throw out our product even though it was likely to be perfectly safe. In 2018, there were two major lettuce recalls in April and November, and both incidents were traced back to affected product grown in Arizona and California, respectively. During the April romaine warning, Gotham Greens saw demand surge because the warning specified Arizona as the source of the issue. However, the November alert didn’t specify the origin of the lettuce affected, so retailers and restaurants were advised to dispose of all romaine, which caused confusion and widespread public fear. This was particularly frustrating for us since our lab testing confirmed no E. coli contamination in any our facilities. Sellew: That this was another of a long line of food safety issues from West Coast field-grown product. Grandmaison: When the hammer went down, I received an alert on my email. I was standing in the supermarket at the time and watched employees dump the lettuce into garbage barrels. Thirty to forty people came back from the parking lot to return lettuce they had bought. As a company, we wanted to get ahead of the problem. When the FDA announcement came out, we tried to figure out if the problem was limited to one chain or producer, one country, or one region. We asked our partners about what they were hearing and what they were instructing stores to do. We also asked how we could help. Some of our partners asked if we were part of the recall. Being a local supplier, we knew our product was safe and our blends were safe. We knew our products weren’t part of the recall, but we couldn’t say so, even though we knew we weren’t part of it. Lightfoot: I was amazed and couldn’t believe this had happened again. We let retailers know right away because we had no choice but to follow the advisory. Our priority is to put the interests of our customers first, so we pulled product. We notified regulators right away that our product was safe, which resulted in the FDA narrowing the recall. We also set up a call with the CEOs of other organizations because we wanted to formally set up a controlled-environment agriculture coalition to educate people more quickly. GG: What lessons did you learn from the recent romaine lettuce crisis? Puri: The romaine recalls this year were extremely unfortunate, but at the same time, they further validated our business model of growing produce in a secure environment, which can reduce pathogens while contributing to a highly transparent and traceable supply chain. All of Gotham Greens’ urban greenhouses are third-party audited and operate under the highest level of food safety and environmental sustainability. Sellew: [We learned] that a controlled environment significantly lowers the risk of foodborne illness. Grandmaison: We prepare internally as part of our food safety plan for any recalls ─ GAP and third-party certified ─ or hazardous situations that might happen. We test our reaction time and score it. What we learned with the most recent romaine recall is that by being so prepared, we knew exactly what to do. We kept things calm and professional because we had already practiced what to say and do ahead of time. If you are professional and keep a level head, your retail partners will respond accordingly. By being transparent and maintaining high-level communication, we now have a blueprint moving forward because we know our plan works. Consumers and retailers learned they need to diversify. We are so reliant on California for our food. People are starting to realize that major impacts on the West Coast affect everyone else. Lightfoot: There are structural risks in the salad chain that need to be better managed. Until something changes, these crises will continue to occur. We also learned that troubles in one part of the industry cause problems for the rest of us. GG: Even though indoor-grown product is not immune to bacteria, outbreaks are often reduced due to fast crop turns and high sanitation protocols. Are there other food safety advantages to indoor-grown produce versus conventional, field-grown produce? 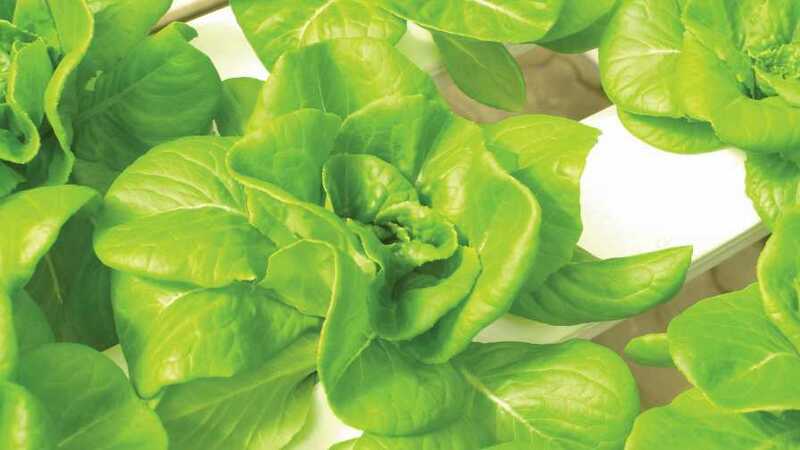 Puri: Unlike field-grown lettuce, which can be contaminated by groundwater and surface-water sources, indoor farms often rely on treated, municipal water, which is potable and usually free of harmful pathogens. Also, commodity greens are often co-packed and co-mingled, meaning that a single box or bag of lettuce could contain leaves from multiple farms. Gotham Greens, similar to other greenhouse growers, does not co-mingle leaves or co-pack greens from other farms. All of Gotham Greens’ retail products are single-sourced with a transparent and traceable supply chain. Sellew: There are always risks in farming, and the quality of your management team and employees is critical. Proper training is key, along with following the protocols and standard operating procedures laid out in our food safety program. Grandmaison: My background is in outdoor field production. When you grow outdoors, there are a lot of variables you can’t control. When you grow indoors, you can control more of the sources of contamination. At léf Farms, we also regularly test our source water for contamination. Lightfoot: When I compare how BrightFarms grows in a controlled environment to traditional field production, I find we are not exposed to many of the pathogens that have caused outbreaks in the last few years. A couple of the outbreaks appear to have been caused by animals, for example. By operating in a locked, secured greenhouse environment, we can have less exposure. The second lesson is that one false problem can expand over time. Co-mingling product is an inherent risk factor, which is why we never co-mingle our products. The third lesson is the structural differences of a long, complex supply chain. You have multiple wholesalers and distributors. Retailers can’t track the product. When there is an outbreak, the traceability back to the actual lot it was sourced from is difficult. At BrightFarms, our supply chain is completely transparent. Customers know exactly where their product is produced. GG: What food safety protocols do you take at your facility/facilities to ensure that the vegetables you grow remain safe for consumption by consumers? As a result of the recent romaine lettuce scare, have you implemented any new food safety protocols? Sellew: We only package what we grow and bring no outside product into our packaging facility. We are currently Good Agricultural Practices (GAP) certified and are going to a Global Food Safety Initiative (GFSI) by mid-year. Grandmaison: Our food safety plan is very robust. We have designed it to meet and exceed any guidelines out there. For us, it is about understanding how the recall happened and why it came about. We revisited our third-party audit and our whole process, starting from scratch and asking how we could prevent it a problem like this. We also did more training with our staff and updated our food safety plan. If anything, this situation reaffirmed to our team the importance of following food safety protocols.